Boulder City resident Peter Bennett, 67, was arrested again Tuesday in connection to another sexual misconduct case. Bennett was arrested at Boulder City Justice Court on felony charges of kidnapping, coercion, open and gross lewdness and sexual assault, Boulder City Police Chief Bill Conger said. Bennett was to be booked into Clark County Detention Center Tuesday, Conger said. Bail was scheduled to be set today, and Bennett will likely appear in court for arraignment Oct. 1 or Oct. 8, his attorney, Damian Sheets, said Tuesday. Conger could not provide details about the case, but said the charges are related to a third victim who has come forward with allegations against Bennett. The arrest occurred after Bennett left the courtroom because of a scheduled pretrial proceeding on charges in two other cases. The pretrial proceeding, however, was rescheduled for 1 p.m. Nov. 5. Bennett was arrested on Aug. 29 and charged with six counts of open and gross lewdness with a minor. The charges involve an alleged incident with a 15-year-old female Sept. 14-15, 2012. He was booked on additional charges of attempted kidnapping, attempted sexual assault and four counts of open and gross lewdness based on allegations from a second adult victim. The second incident allegedly occurred atthe Boulder City Horseman’s Association corrals Aug. 17. Bennett leases a lot at the corrals, according to Scott Donnelly, president of the association. Bennett appeared in Boulder City Justice Court on Sept. 10 and had his bail reduced to $150,000, after the district attorney’s office agreed the amount was sufficient to keep him in the area. As part of the lower bail, Bennett is not to have contact with anyone involved in the case, or people younger than 18. Tuesday’s pretrial proceeding was moved because the defense was waiting on additional information from the district attorney, Sheets said. 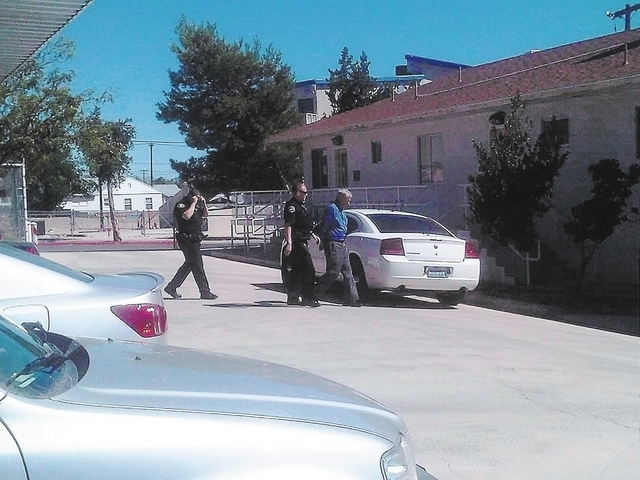 Sheets had not yet reviewed the new charges Tuesday when contacted by the Boulder City Review. “My client maintains his innocence, and we’ll be reviewing the new charges and proceeding from there,” he said. Bennett has lived in Nevada for 57 years, and at his Boulder City residence for 25 years with his wife of 43 years, Sheets previously told the Boulder City Review. Following Bennett’s Aug. 29 arrest, Boulder City police reached out to the media, hoping to find other victims. “We expected more people to come forward, and they have been,” Conger said Tuesday.